You may yet see a few more messages about the Apollo Scam from me, as we approach the 50th anniversary of the scam. 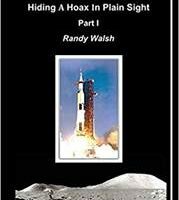 There’s an excellent article in the latest edition of Nexus magazine (April 2019, volume 26, no 3), by Randy Walsh, showing that the F1 engines on the Saturn V rockets were nowhere near as powerful as NASA claimed – in fact, they never used them again after the Apollo “missions”. 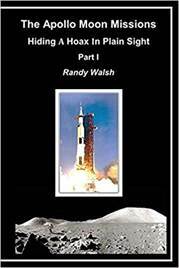 Walsh has analysed an unedited shot of the Apollo 11 launch, and says that, 105 seconds after launch, it was at about 26,000 ft, not 79,000 ft as NASA claimed, which means it could only have reached Low Earth Orbit. The article is a summary of chapter 2 of Walsh’s book. This entry was posted in Moon Hoax, News.